Designed and built by Landmark Creations, the colorful arch measures 13 feet high and a whopping 21 feet wide. At the November 2016 run, it certainly made an impact. According to Arthritis Foundation Community Development Manager Brittany Fornengo, "many teams wanted their photos [taken] under the inflatable arch," and every picture gave the Arthritis Foundation great exposure. It was all for an excellent cause. 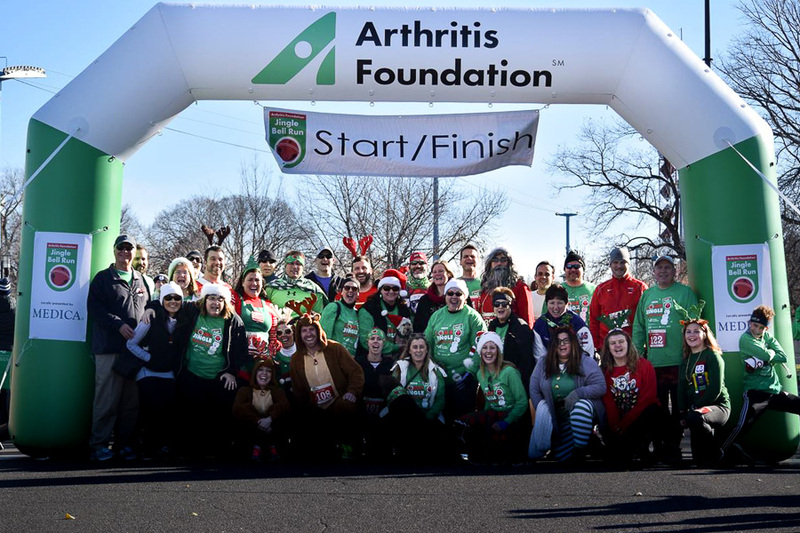 As a "Champion of Yes," the Twin Cities Jingle Bell Run raised over $175,000 to help fund research for an arthritis cure, life-changing resources for the arthritis community, and more. Why did the Twin Cities Arthritis Foundation turn to Landmark for their inflatable arch? Fornengo cites our "reasonable price" for such a premium-quality product.